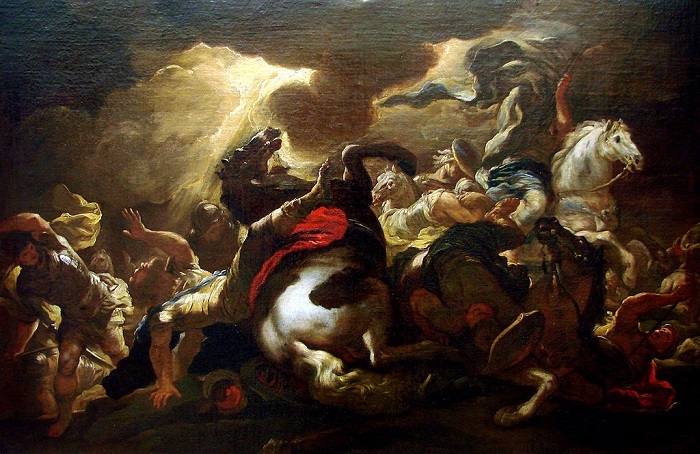 The story of Saul’s conversion sounds like an urban legend or folk tale. What really happened? A dream? Seizure? Drug trip? A number of non-supernatural explanations have been considered by experts, including an attack of temporal lobe epilepsy; sunstroke; a mood disorder with associated psychotic spectrum symptoms; or a fireball passing through the sky. Discrepancies in translations compound the confusion, for example in v 7, some versions state that the companions heard a sound, while others specify that it was a voice. The Ananias in Damascus who magically restores Saul’s sight is (obviously) not the same Ananias who was struck dead in chapter 5. 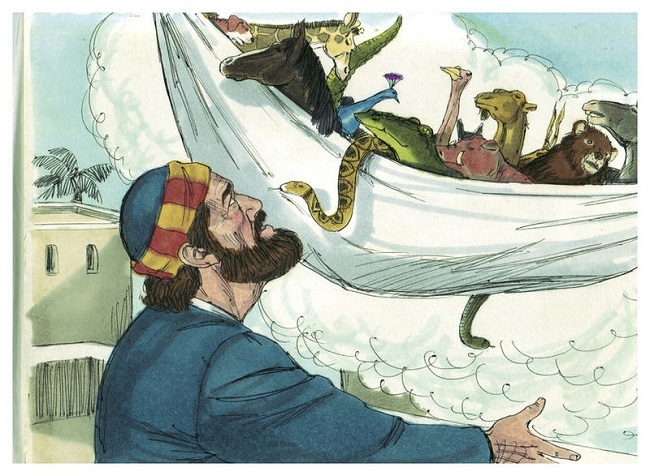 So Saul stays in Damascus and, with the help of a few loyal assistants, evades all his evil pursuers, even being lowered in a basket through an opening in the city wall (v 25). Why didn’t god just protect him? In the last section, Peter’s miracles are clearly meant to emulate those of Jesus. This whole chapter reads like a testimonial. I half expected to see the phrase ‘happily ever after’ at the end. These stories are just so nauseatingly upbeat, they must have been authorized by the propaganda department. The converts just keep piling in! And angels and other visions abound. V 11-16 seem to be leading into a discussion of whether or not Gentile Christians need to follow the Jewish dietary laws, but the thought is interrupted. I’m a little perplexed by Peter’s emphatic denial of divinity in v 26, after performing ‘miracles’ in the last chapter. When Jesus did those same feats, he was considered divine; in fact, miracles were used as proof of his divinity. But in v 28 things begin to make sense. The early Christians preached their message to the Jews and they were persecuted and run out of town, like Stephen and Paul. So now god has had a change of heart, and tells Peter that it’s OK to preach to the Gentiles; hence the summons to Cornelius and the dispensing of the dietary restrictions. Peter’s speech (v 34-43) conveys the message that believers can all be one big happy family now, because god shows no favoritism and will accept people from every nation (v 34-35). Notice the contrast between this and Jesus’ statement that he came only for the Jews (Matthew 15:24). Also note the reference to illness being cause by the devil (v 38) and the continued Jew-blaming (v 39). So now the Holy Spirit descends upon the Gentiles, and the Jewish converts are amazed to hear them speaking in tongues. (I guess you have to speak in tongues to truly demonstrate your belief. Now I know why some churches still think that.) And now that these Gentiles have received the Holy Spirit, there’s no excuse not to baptize them, right? This will be the start of the division between Jewish Christians and Gentile Christians.